Kodak ESP C315 Ink Cartridges For the most cost-effective fees in purchasing all the essential printing consumables you could possibly need, in this case the requisite Kodak ESP C315 ink cartridges you're after, there certainly is no better retailer than right here at InkNTonerUK, supplying these Kodak ESP C315 ink cartridges and all others at costs you can smile about! 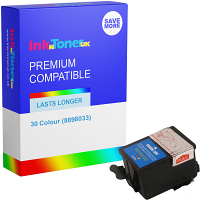 InkNTonerUK are constantly leaving all individual and business customers fully gratified with both the service and the products they've received from us, and can whole heartedly reassure you that ANY Kodak ESP C315 ink cartridge you acquire from us with be of the finest quality around! 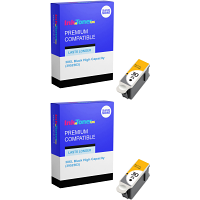 Whether printing something you do every day, a number of times day or simply just once or twice a month to print off the odd document such as a monthly bank statement, you're sure to find jus the product for you...We have a choice of great purchase options of the essential Kodak ESP C315 ink cartridges, including the choice of purchasing both standard and high-capacity ESP C315 ink cartridges, with the option of a cost-effective twin pack there as well. 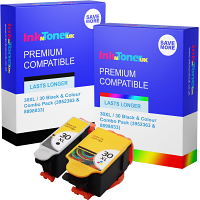 InkNTonerUK have a set guide line that we ensure all products meet before being sold to our customers, and can make a sincere guarantee that any consumable you purchase, in this case the Kodak ESP C315 ink cartridges you require will be of a first-rate quality without any doubt, and will be as LONG-LASTING as it can possibly be as ink fill levels are to the max. This results in the necessity to procure NEW Kodak ESP C315 ink cartridges becomes less, but when the time does occur it will be more financially beneficial for yourself, making long-term money-saving more feasible! 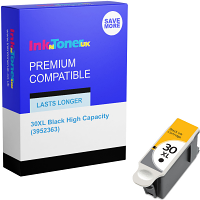 Take a few minutes of your time to register to become an InkNTonerUK member today, for a range of great deals and seasonal promotions and giveaway's and also place this page on 'Bookmark' to reassure yourself that whenever the time does occur, and you require the purchase of NEW Kodak ESP C315 ink cartridges as well as any other of the various consumables we vend, we will always be just one clear-cut click away, NO fuss! !